Technologies could be slowing our productivity and having a negative affect on our well-being. 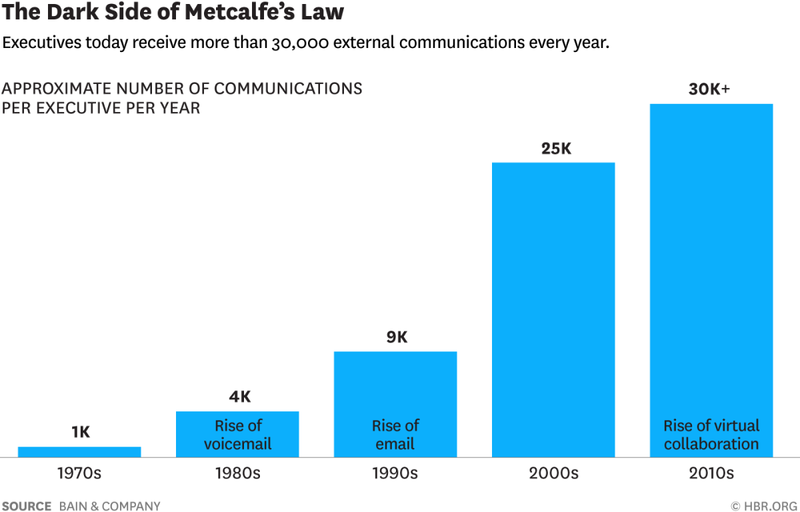 Number of communications executive receive per year. Digital currencies like Bitcoin have also so far failed to live up to the hypesurrounding them. Far from being more efficient as a means of payment or store of value than conventional money, cryptocurrencies seem to encourage the diversion of resources away from productive uses. They also harm the environment, owing to the energy-intensive “mining” process, while the total anonymity they offer undermines law enforcement.